The uniform needed depends on rank. 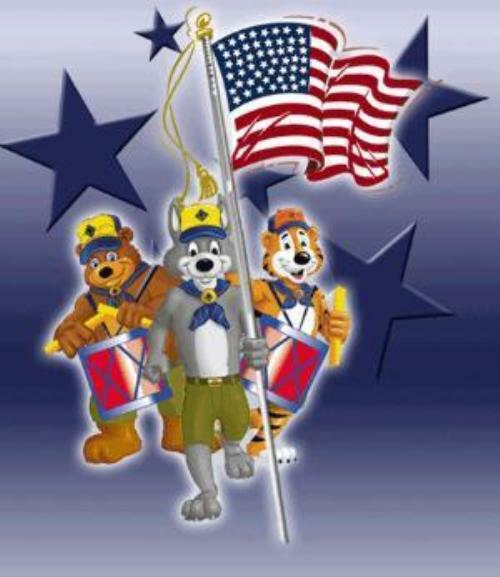 Tigers, Wolves, and Bears all use the blue uniforms, while the Webelos I & II use the tan uniforms. It is important to buy the uniform a little big since doing so may mean you will be abe to use it for several years (especially if you are buying one for a Tiger! ).The hats and scarf's will change every year (except between the Webelos I & II years). You may get either the long sleeve shirt or the short sleeve shirt. Most prefer the short sleeve shirt though. When transitioning from Tiger to Wolf or Wolf to Bear you will need to replace the hat, scarf, tie and book. The rest of the uniform will stay the same. When transitioning from Bear to Webelo I, you will need to replace the shirt, hat, scarf and book. You may also choose to replace some or all of the patches as well. Some choose to remove them from the blue uniform and put them on the tan. Others choose to simply buy new ones and put them the tan uniform. Either way is acceptable. You will NOT move the rank badges from the blue to the tan uniform though. 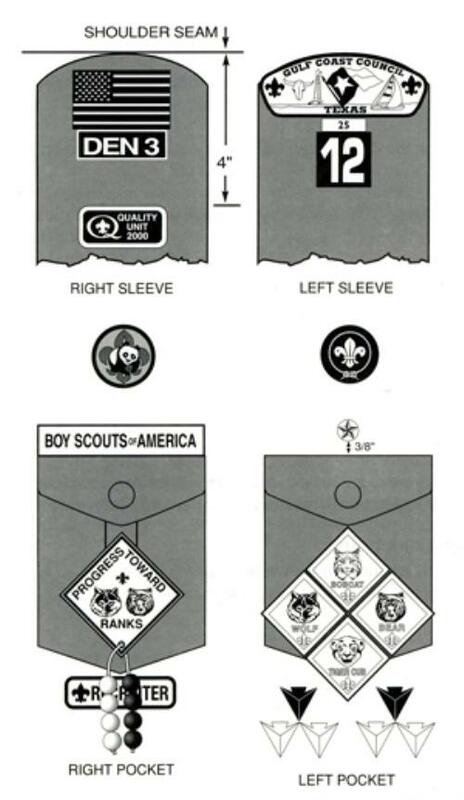 The Webelo patch is designed to be worn like a Boy Scout rank patch and the rank patches will be in the way. When transitioning from Webelo I to Webelo II, there is nothing that needs to be purchased. Tan with blue shoulder loops for Webelos (if you already have a blue shirt for Webelos, that is fine). The Pack # patch is given to new recruits by the Pack the Scout stores only carry the single number patches. Class B uniforms are bought through the pack.